This is a common question and discussion amongst my friends and family. So I thought I'd share movie and show recommendations on Cathy Thinking Out Loud every Wednesday (aka #W2WW). 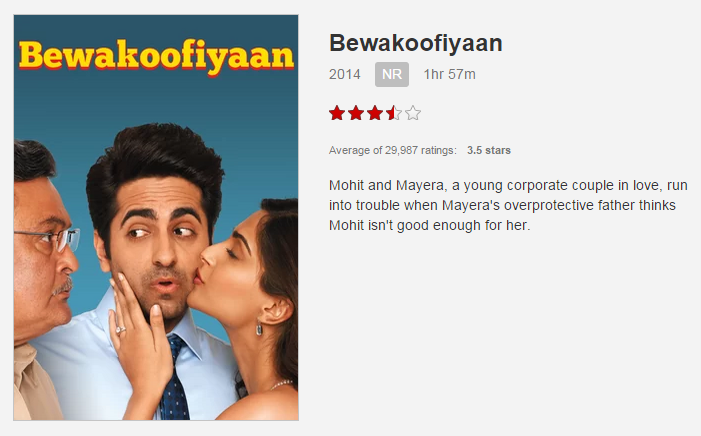 I love nothing better than a fun entertaining romantic comedy, and you'll find no shortage of Bollywood Rom-Coms. After a week long Bollywood marathon I've become a sub-title reading pro! 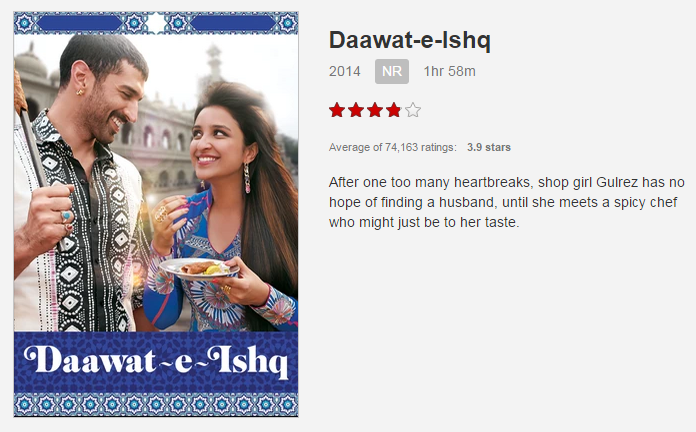 I like how these Bollywood movies on Netflix Canada use comedy to point out stereotypes, family dynamics, and the challenge of finding balance between traditional customs and modern living. and share your suggestions in the comments section. I'm normally more of a rom-com type but was outvoted so settled in to Episode 1 of Daredevil with my Hubby and teens. I thoroughly enjoyed this action packed show. Clearly so did everyone else since it has a 5/5 star rating from those who have rated it on Netflix. They were right, it was a great #W2WW choice! I have no idea how closely it follows the comic books, but I am busy watching the other 11 episodes on my own. Yo! 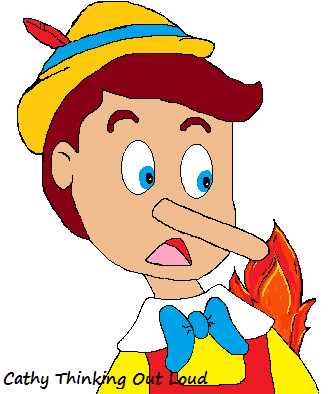 Pinocchio your pants are on fire! We can't be the only parents to tell an occasional "white lie" to navigate through the challenges of parenthood. We may have even told a few just for our own entertainment. Note: no children were (permanently) harmed in the making of our entertainment. We may even continue to refer to and build on these "lies" even though our kids are teens now. Our kids names start with the letters A and C. "There was a B brother but we gave him to the circus because he misbehaved." He still sends emails with updates on circus life. "We got tickets to the Opera!" They discussed the fancy clothes they'd wear for two weeks, only realizing once we reached the venue it was Monster Truck. All kidding aside, the issue of honesty and telling lies can be a grey area, especially for young kids. It's not always clear if honesty is the best policy, so we focused on teaching ours critical thinking skills and gave them guidelines rather than absolutes. You tell on someone to get them out of trouble not to get them into trouble, and although most times honesty is the best policy sometimes being completely honest can be hurtful. Lying comes in many forms, intentional omission is a form of lying, and the motive for lying is important. As parents the decision as to how much, what and how we share information is ours, and you may not always like our decisions. It is not acceptable to lie to avoid consequences, and the consequences for lying are often worse than the act lied about. Often the best way to teach our kids about honesty is through a story, and Netflix has shows and movies that can help do that regardless of your child's age. I think you'll particularly enjoy the new Netflix Original Bloodline ... no word of a lie! I've always believed post-secondary education is important. Not simply as a way to secure employment, but because of all the important life lessons that come with that experience. It's one of the reasons my husband and I have been saving for our kids' post-secondary education since they were babies. I see investing in my kids' education as an investment in them as people, and the return on investment is that they become critical thinkers and contributing members of society. But with education costs these days, saving for - and paying for - that education requires a plan. Although I paid for my own university expenses, when I applied to and attended university I never really thought much about how I would pay for it. The tuition and associated costs were not as prohibitive as they are today. In the summers, I lived rent-free at my parents' house, and made enough from my summer job to pay for tuition, books and some spending money. I worked part-time during the school year to cover my rent and food. I was hardly going to be featured on Lifestyles of the Rich and Famous but I never starved or couldn't pay my rent. Of course in those days my tuition was about $1,500 a year plus another $500 for books. 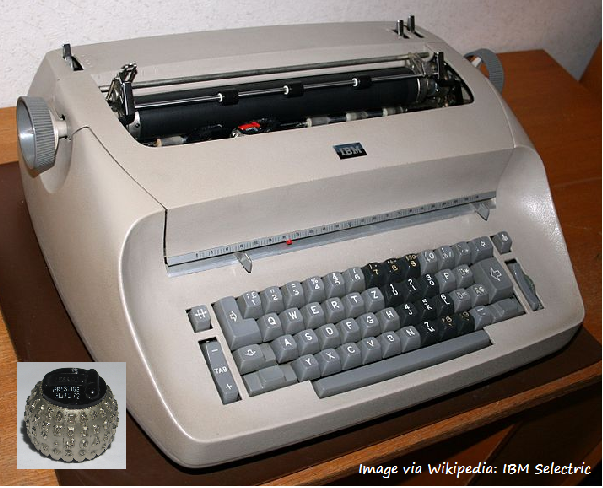 I had a second-hand "high end" electric typewriter (with the swivelling ball no less) AND matching typewriter table which made me the envy of all. Fast forward to today, as my kids apply to college and university and the tuition is between $5,000 and $15,000 per year plus at least another $1,000 for books. These days a laptop, printer, smart phone, and internet access are all required tools for post-secondary studies, and they don't come cheap. Let's not forget the cost of residence and a meal plan (or food) and rent, if living out of town. So tack on another $10,000 a year for that. It's no longer possible to graduate debt-free while paying for school with a summer job and part-time work during the year. Without planning and help, my kids would be potentially $80,000 in debt after a four-year degree at a university out of town. I simply cannot imagine them starting their first job with that kind of debt. Repaying it would have such a huge impact on their lives; it would affect their ability to buy a car, a house, start a family, etc. So our gift to our children - and it is a very generous gift indeed - is the gift of education. It is a gift of planning and saving for their futures. It is the gift of graduating debt-free. Since I am not made of money (hence the not being on Lifestyles of the Rich and Famous), the only way for us to afford this gift was to find ways to make our money work for us, have a plan, and start saving with enough time for those education savings to grow. Sharpen those pencils, put on those thinking caps and school yourself on RESPs and saving for your kids' post-secondary education. Here are a few lessons I've learned along the way. Educate yourself. 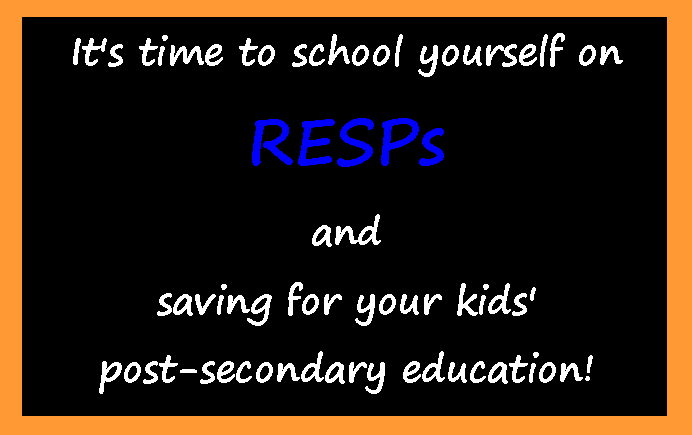 Do some research into what RESPs are, what types are available, and what options you have when it comes to saving for your kids' education. You should also research what education options qualify for RESP fund usage. It's important to invest time into making the right decision for yourself and your kids, and take advantage of all the savings opportunities available to you. Start early! Really, you should start almost as soon as your kids are born. Even a small amount every payday or month adds up over 18 years. Setting up regular scheduled automated contributions is the easiest way I found to do this. Remember, you are not limited to auto deposits. You can make additional contributions or lump sum contributions when funds become available from a tax return, bonus or gift. Use one of the many RESP calculators available to determine how much you'll need to contribute over how many years it will take to reach your goal. When you receive lump sums of cash such as an income tax return or bonus from work, try to apply at least some of it towards starting an RESP, contributing to an existing RESP, or deposit it into a separate account to draw on monthly towards an RESP. By putting the funds into a separate account they will be easier to manage and you won't accidentally spend them on other items. Taking a bit of your tax return every year and putting it into an RESP really adds up over the long term, and helps to ensure you qualify for the maximum yearly CESG amounts you are entitled to. If you receive a child tax benefit, consider putting aside a small portion of each payment to put towards an RESP and education savings. By setting up an automated deposit of these funds to a separate RESP account, you'll never see the funds in your main account, and thereby eliminate the risk of them being used for other items. As the saying goes, "out of sight, out of mind". Be sure to take advantage of ALL possible government incentives and grants. There are several, so be sure you educate yourself on which ones you qualify for, and ways to maximize the amount you receive. Lastly, include your children in this process and planning from a young age. Financial literacy is so important, and they will need to understand the efforts and sacrifice you're making on their behalf to save for their education. They need to understand what a special gift this is, and truly value it and how lucky they are to receive it. BONUS: this is a perfect opportunity to get some money management, budgeting, and goal setting lessons in. Tax Return time is just around the corner, so why not make this year's tax return time RESP time, and start saving for the gift that will keep on giving your child's whole life through. Yep, just me Cathy thinking out loud about RESPs. Note: As a Heritage Mom I was compensated for this post, and for sharing my thoughts about RESPs and saving for post-secondary education. 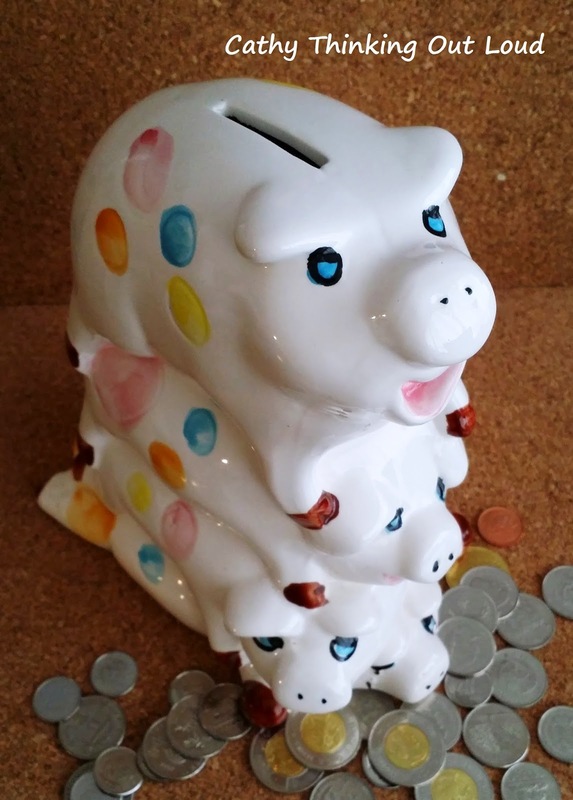 All opinions are my own and reflect my personal experience saving for my two kids' education. "You're Invited to Experience Tay River Aqua"
Well I'm pretty darn thrilled to be invited! So off my friend Elaine and I went for a much overdue and needed Spa Day. 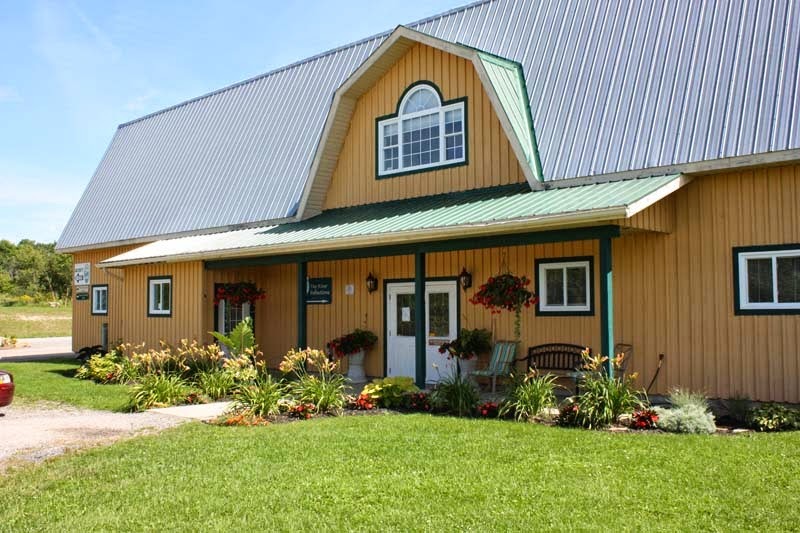 You'll find the Tay River Reflections AQUA & MediSpa nestled on 260 acres just outside the town of Perth (about a 45 minute drive west of Ottawa), making it perfect for a day trip, or combined with a stay at one of the boutique hotels in the area a perfect weekend getaway. We spent the day enjoying all Tay River has to offer including the newly opened outdoor AQUA facility, the gym and fitness centre, and a mini spa treatment at the established Tay River Reflections Spa. After a quick tour and lunch served in the lounge overlooking the hot tubs, gazebos and beautiful grounds, I was off to the spa to see Rhiannon for a mini facial which I highly recommend. Elaine relaxed in the hot tub until it was time for her mini relaxation massage. The Tay River MediSpa offers an array of spa services and medical esthetic treatments, including what I refer to as the "Spa-ce Pod" which is actually for Oxy LED treatments. 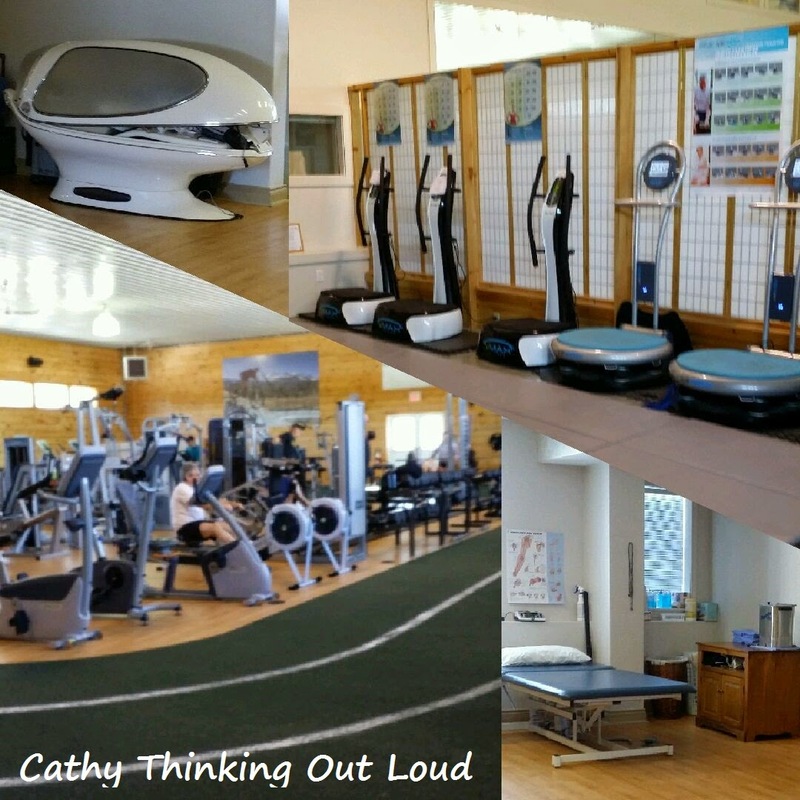 The Train N' Transform Gym and fitness centre is impressive and includes an indoor track, and total body vibration machines! It was nice to see a wide range of ages from college students to seniors in the gym and classes. Clearly there is something to suit everyone's needs. Personal trainers are available by appointment, as well as 140 classes per month to suit every fitness level. I found the Membership prices very reasonable, and think it would be great for those with cottages in the area. We spent the rest of the afternoon enjoying coffee and tea in the lounge, and chatting with Tay River Reflections founder Dr. Manuela Joannou and the Marketing Director Tyrell McKirdy about their facilities and future plans to convert the loft into a conference room. It was a wonderful relaxing way to spent time with a good friend. The staff was friendly and professional, the spa treatments a dream, and the surroundings beautiful. They even have wifi, which is important to us blogger types. I know I'll be back soon! because as the saying goes ..."I'm Worth It!" Mother's Day is just around the corner and a spa day sounds like the perfect gift...hint hint teen boys! For more information about the services and packages available be sure to take a look at the Tay River Reflections Medical Spa site and Tay River Reflections on facebook. 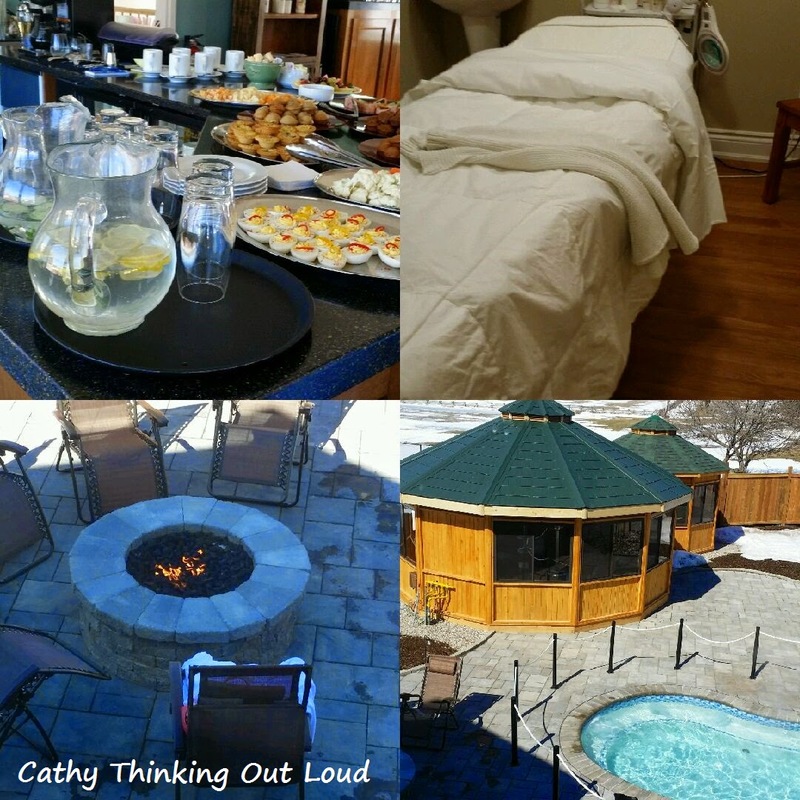 Yep, just me Cathy thinking out loud about spa days. Note: As an invited guest of Tay River Reflections AQUA I enjoyed the facilities for a day and a mini spa treatment free of charge. 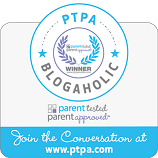 The purpose of this post is merely to share my experience with my readers. All opinions are my own and reflect my personal experience. If you have ever had the privilege of attending a We Day you can't help but be moved by the sheer size and magnitude of the event. 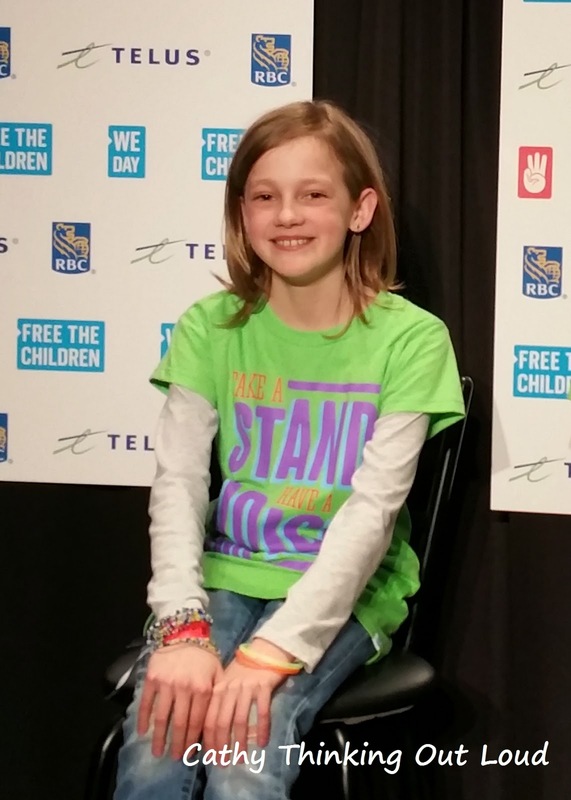 April 1st, 2015 I attended the 50th We Day in Ottawa. More than 16,000 youth attended this by invitation only event. You can't buy a ticket to this event, you need to earn your way through acts of kindness, action and support both locally and globally. All those kids taking action to make their world a better place. But sometimes we lose sight of the individuals that make up those 16,000 plus. During this event, the 50th We Day celebration, I had the privilege to bring the focus down to the individual level and speak with two youth from Ottawa making a difference. Meet Trinity, a student from St. Leonard School. Trinity is actively involved in the school's Free The Children group and activities. Her FTC school group has something called the Bucket List. Group members make a bucket list of 10 random acts of kindness they will do over the school year. It includes what those acts will be and the number of times the member plans to do each act of kindness on their list. I am happy to report that Trinity completed her bucket list! Trinity and her friend had fundraisers such as a bake sale and lemonade stand during a garage sale to raise funds and awareness. She and another student gave a speech at a mini town hall meeting; one presented in English and the other in French. Trinity also attended a youth summit Keep the Promise, which dealt with child poverty. Meet Tyler, a student from St. Matthew High School. Tyler has been busy working with Free The Children at his school for 3 years. 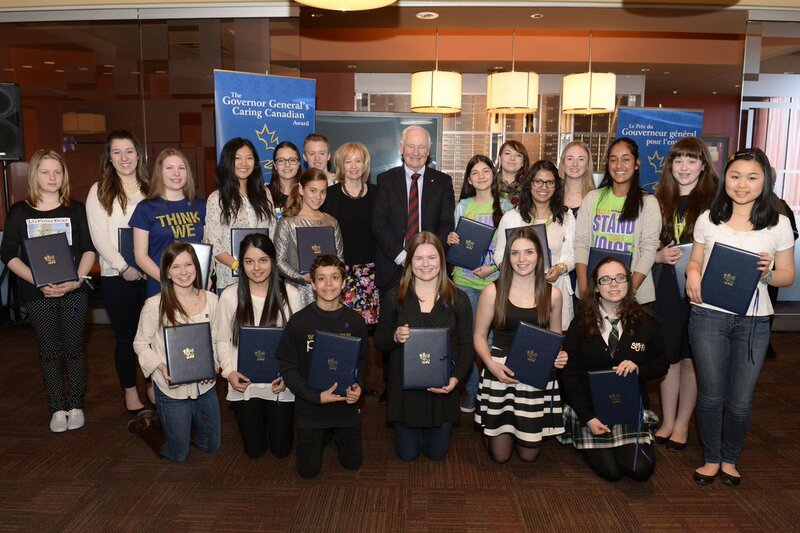 Tyler was one of twenty students to receive a Caring Canadian award from the Right Honourable David Johnston, Governor General of Canada April 1st, during the National We Day celebrations. He has participated in Scare Hunger, We Create Change Clean Water, and We Create Change for Education to name a few. I asked Tyler what his favourite activity he has participating in, and he told me it was making Global Care Packages for kids in Haiti, (which included clothes, school supplies, etc) and becoming pen pals with one of the children. Now take these two inspirational kids and multiple them by thousands of kids just like them, working hard to make positive change in their world and we can easily see how We Days around the world have grown to be such big events and celebrations of what can be done.Ultimately We Day isn't about big but rather how small can become big, and the cumulative effects of individual acts. In my post, One small action a day = impact and change in a big way! it is easy to see why small grass root efforts are so important to our world and to our youth who are the leaders of tomorrow. It was a real privilege to meet Tyler and Trinity and I hope their stories inspire you, and you'll share their stories with a youth in your life so they can see what enormous potential "we" all have to bring about change in some way everyday. Yep, just me Cathy thinking out loud about We Day and some inspirational kids. Note: I have not been compensated for this post. 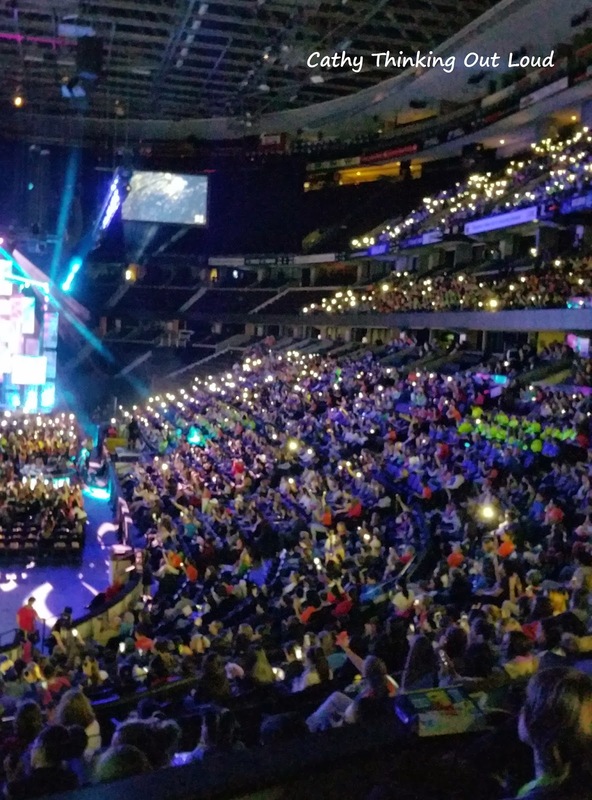 This post is merely to share my experience at National We Day 2015. 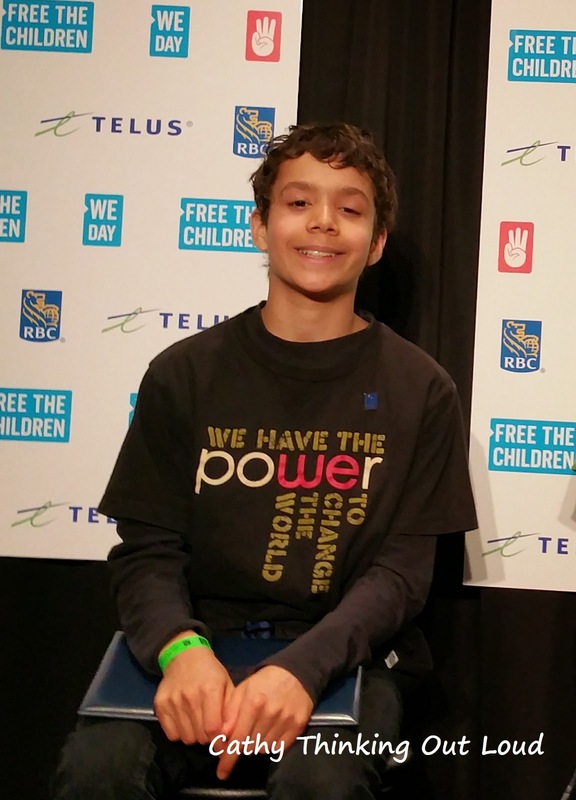 I had the privilege of attending National We Day 2015 and interviewing these Ottawa Youth as the guest of TELUS. Being given the opportunity to participate in this event is very much appreciated, and I thank them for this.